This one is gonna hurt. 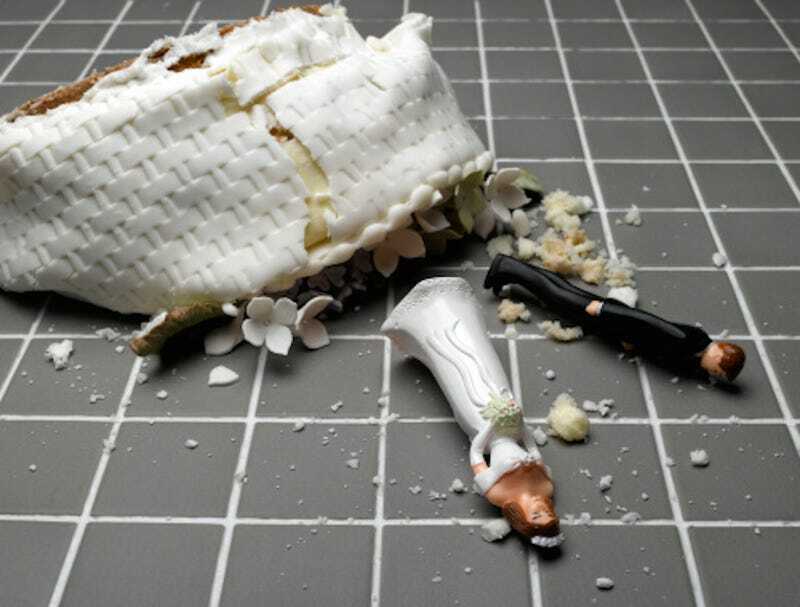 By request, this week we want to hear everything that went wrong with your wedding cake. Did it topple off its stand before you even got to cut it? Did it arrive smooshed due to a transit mishap? Did your bratty little cousin stick her fingers in the frosting when your auntie wasn’t paying attention? Tell us all about the crimes against buttercream that were committed at your wedding, and we’ll return to this space on Thursday to lament the treatment of your delicious, delicious cake.